Washington Monthly | Meanwhile, In Those Other College Rankings…. Meanwhile, In Those Other College Rankings…. The great baseball analyst Bill James used to say when he was attacked by “traditionalists” of the sport: “If I’m going to play Galileo, somebody’s got to play the Pope.” This was before we had a non-traditionalist (in some ways) Pope, but you get the idea. In that spirit, I’ll mention that the U.S. News and World Report college rankings for 2015 are out, and as usual, there’s not much drama since the same old elite private schools dominate the list as always. It’s kinda like one of those snooty social club where the same ten families take turns winning all the awards. 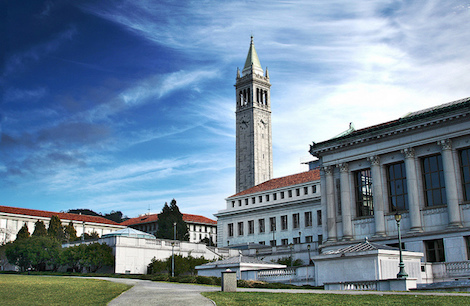 There was a time in the 1980s when the University of California at Berkeley was deemed a top-five national university on the most prominent annual ranking in higher education, up there with Harvard, Princeton, Stanford and Yale. No longer. Nowadays one of the most prestigious public institutions in the world, with seven Nobel laureates on its faculty, can barely crack the top 20 in U.S. News and World Report’s list of best national universities. For the third straight year, according to rankings released Wednesday, UC-Berkeley is No. 20 on that list. It sits just behind Rice, Notre Dame and 17 other private universities that are rearranged very slightly, if at all, from year to year. Perennially controversial, the ranking formula is based on school reputation surveys; student selectivity; faculty resources; alumni giving; graduation and retention rates; and total spending per student on education. Public universities, relying heavily on state funding, often have tighter budgets, far larger enrollment and a broader mandate for accessibility than private institutions. Those factors constrain them under the U.S. News system…. Robert Kelchen, an assistant professor of higher education at Seton Hall University, said it’s possible to compare public and private “when you have measures that are fair to both sectors.” Kelchen oversees the Washington Monthly rankings, which weigh what schools contribute through public service, research and social mobility. We continue to think that makes a lot more sense, and eliminates narrow criteria that encourage rankings-conscious schools to distort their policies and missions. So consult the U.S. News rankings if you wish, but it’s smarter as a student, a parent and certainly as a taxpayer to rely on WaMo’s newest College Guide and its spinoff book, The Other College Guide.